lay out the drop cloth! open a window.. Turn on a fan.. SOMETHING for ventilation. Please leave the door open, Do not close yourself into a small space with strong cleaning agents. 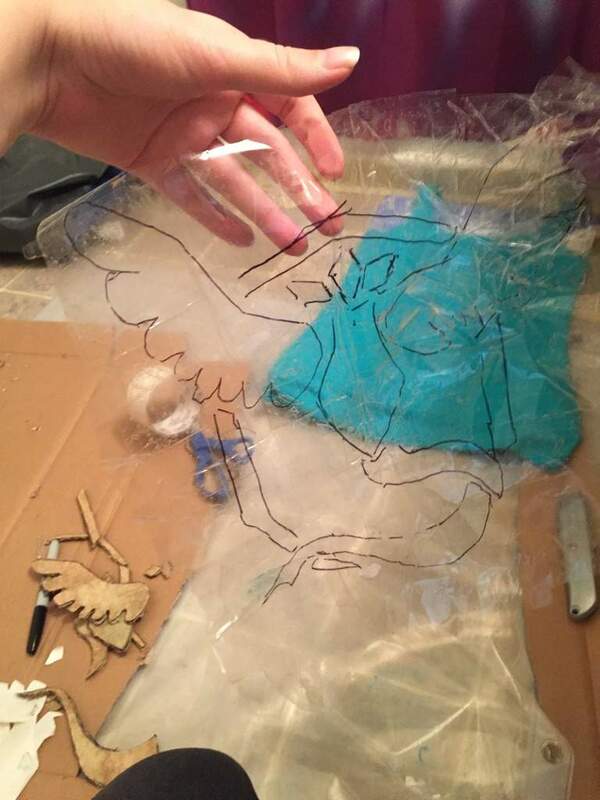 Lay out a sheet of the tape on an easy to remove from surface (like.. The plastic drop cloth). You will want at least 2 layers of tape, 1 in horizontal stripes and 1 in vertical. OR put down one of the lamination sheets. Trace your image on the sheet with permanent marker. pull the whole sheet up. You should have a sticky side and a smooth side with your image. You need that sticky side! stick those pieces down on your cloth! Thoroughly pat them down being careful to avoid folds or creases in either fabric or tape. spray that bleach!!! Stand back farther for a finer mist or closer for splotches. Less is more. You can always spray again later, you cant take it back. Once bleached, always bleached. wash on cold cold to make sure you do not have prolonged bleach on skin contact when wearing the cloth. The thinner areas of the design got lost. This might have been ok if i had weights for the cardboard. There was also seepage of the bleach into areas surrounding the spray. Better than just cardboard, but the paper actually absorbed the bleach and thats why the pattern is splotchy in areas.